2015 Cycling Utah Rocky Mountain Tour and Race Guide Now Available! 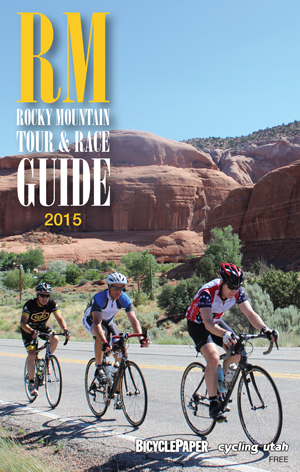 Get the 2015 Rocky Mountain Tour and Race Guide today. Download it, or find it at your favorite bike shop. Cycling Utah's 2015 Rocky Mountain Tour and Race Guide is now available. The Guide contains the 2015 cycling calendars for Colorado and New Mexico, as well as the Utah and Wyoming, tips, and other useful information. Find it at your favorite regional bike shop in Utah, Colorado, Nevada, Wyoming, New Mexico, Idaho, and Northern Arizona or download today. The guide is packed with 96 pages of information about cycling in the Rocky Mountain region. Every race and tour is listed along with great articles, photos, and more!